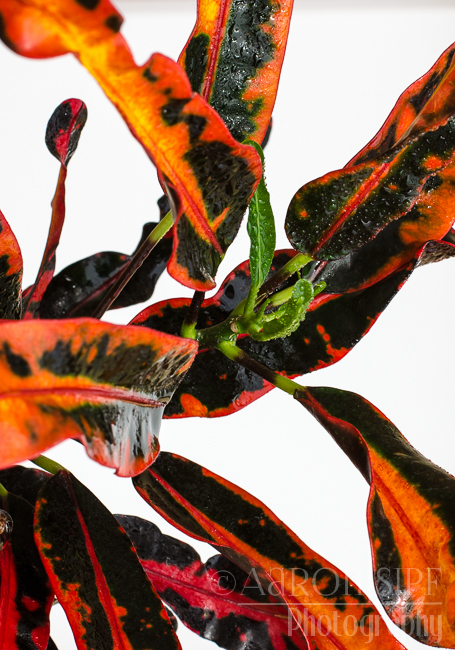 Croton. 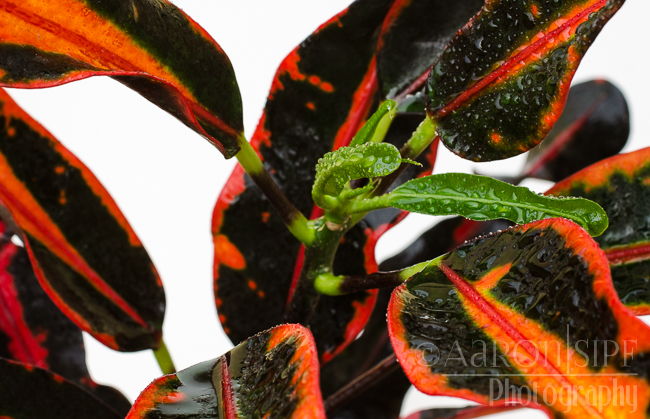 Beautifully colored foliage. 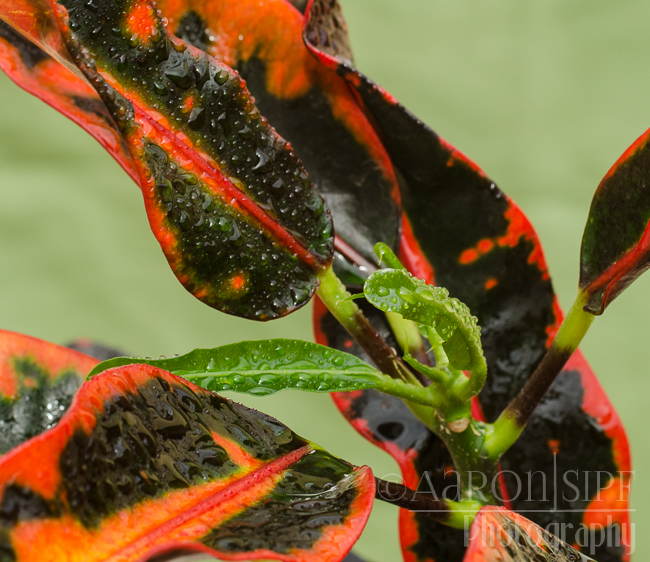 New growth is green, and colors and spots develop later.